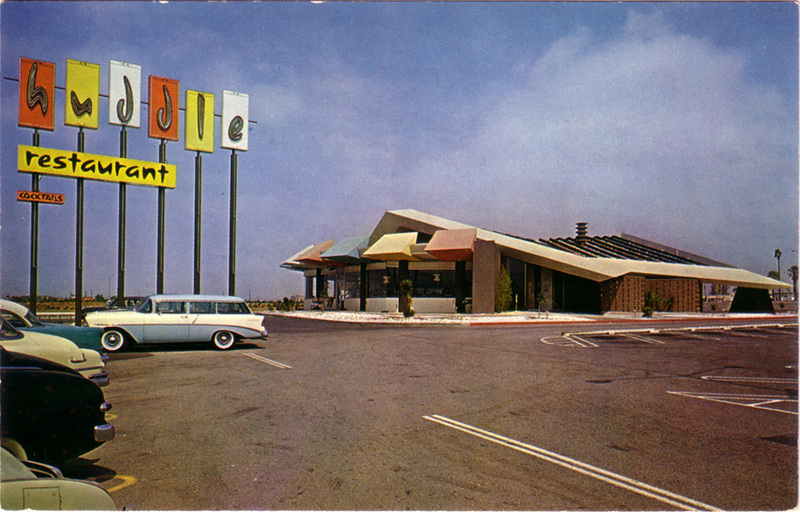 The classic "googie"-style coffee shop used to reside in the parking lot of Eastland Center in West Covina, California, close by the neighborhood where I grew up. 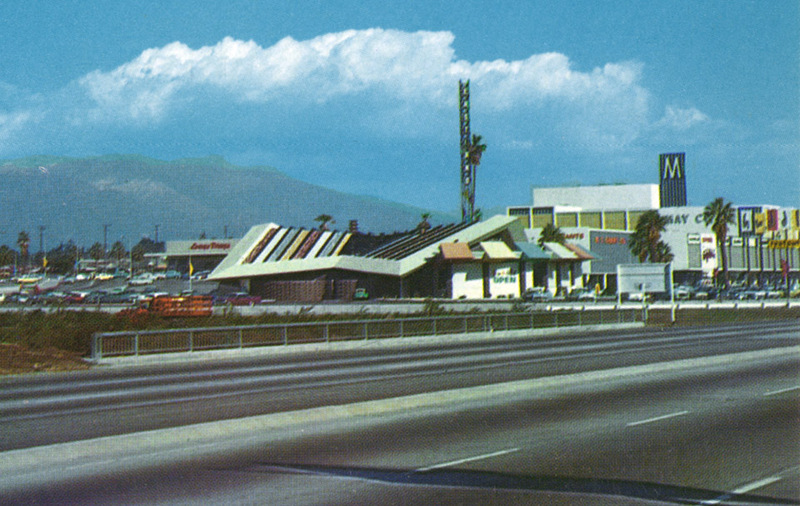 Opened in 1957, Eastland was then only the sixth shopping mall in the Southland, and the first to be built adjacent to a freeway. The Huddle was down from the mall by the side of the westbound San Bernardino Freeway (US-99, I-10), right at the Citrus Avenue offramp.